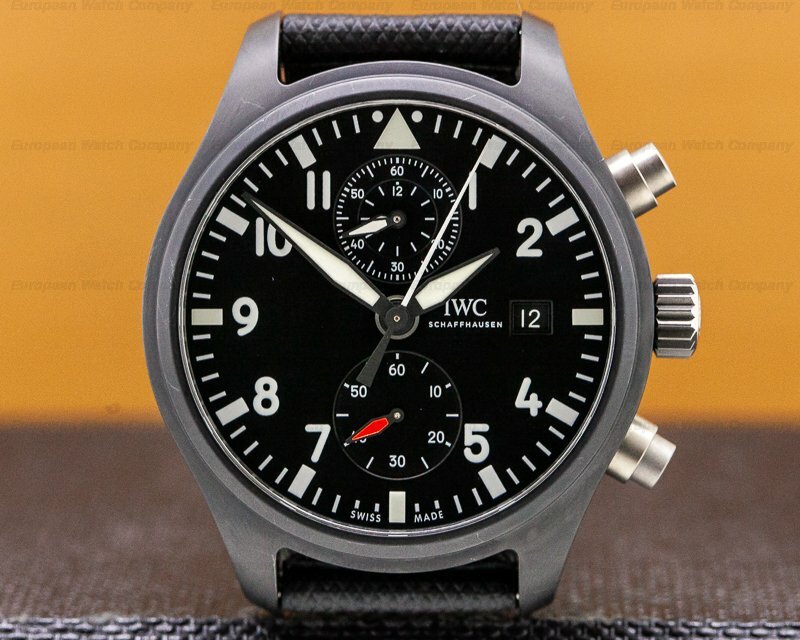 This is a ceramic/titanium IWC Top Gun Perpetual Calendar IW502902. 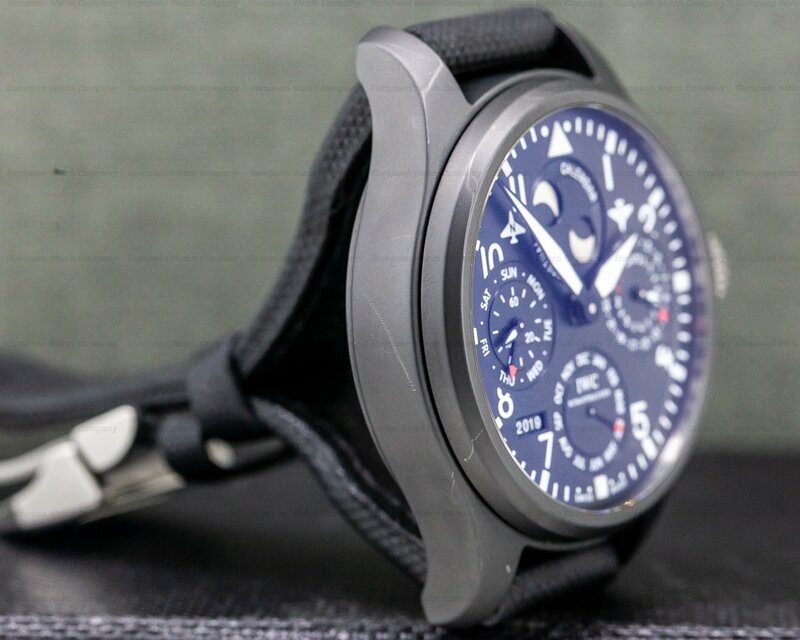 It has a sail canvas strap with a brushed steel deployment buckle, and a scratch resistant sapphire crystal with anti-reflective coatings. 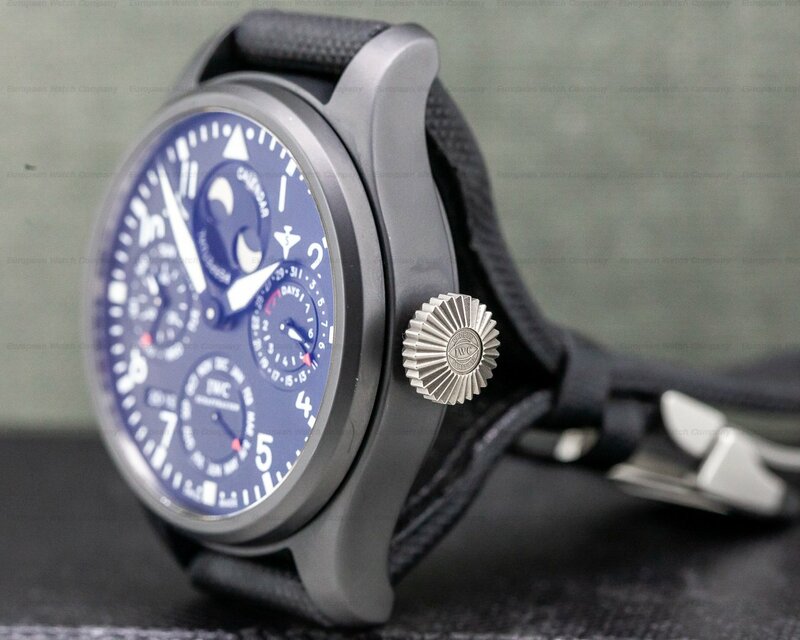 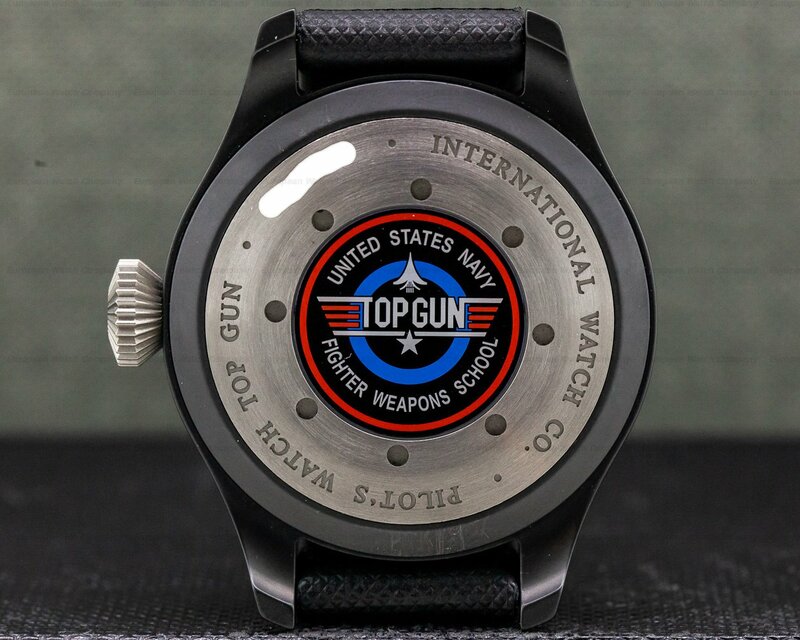 It has a Big Pilot screw down winding titanium crown, and a screw down solid titanium case back engraved with "INTERNATIONAL WATCH CO. – PILOT'S WATCH TOP GUN," and in the center medallion is a signed display back for the Top Gun United States Navy Fighter Weapons School. 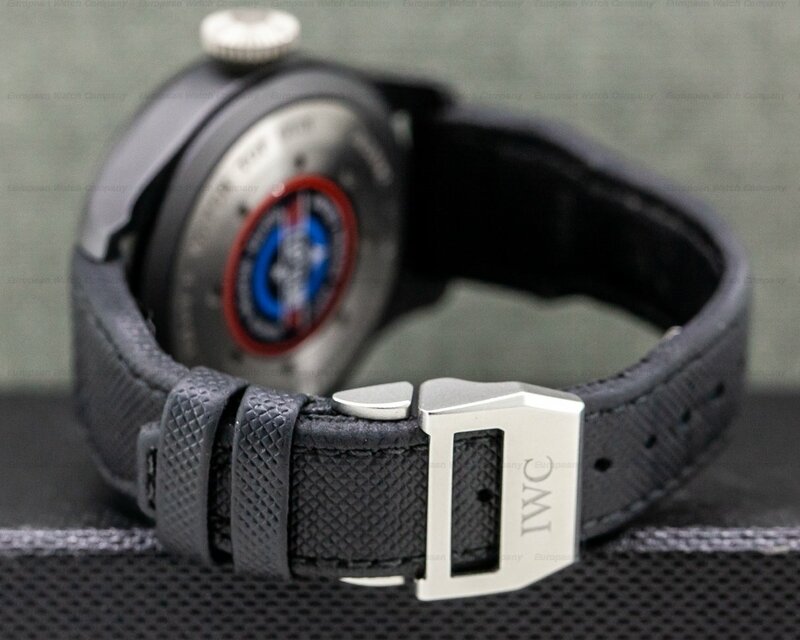 The 48mm diameter solid three-body case, curved lugs, and screw down winding crown, and stepped bezel, are matte black. 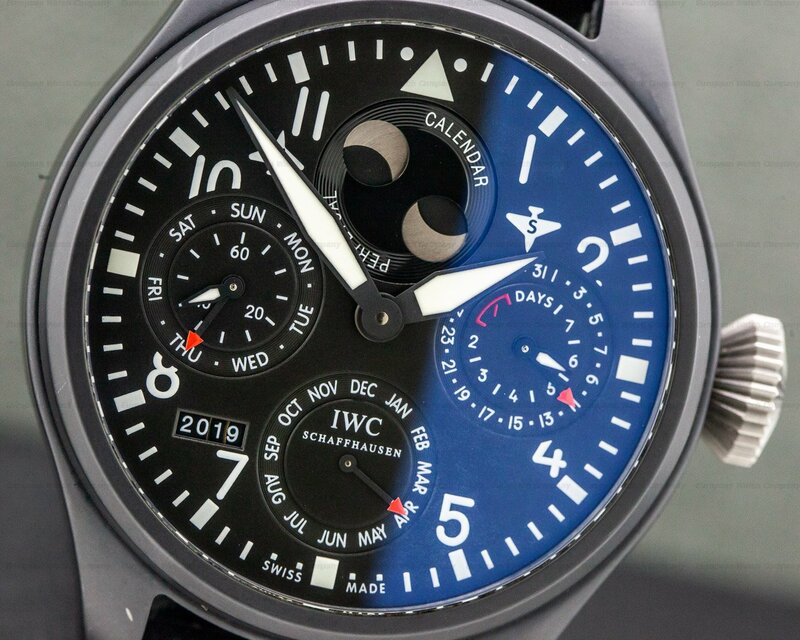 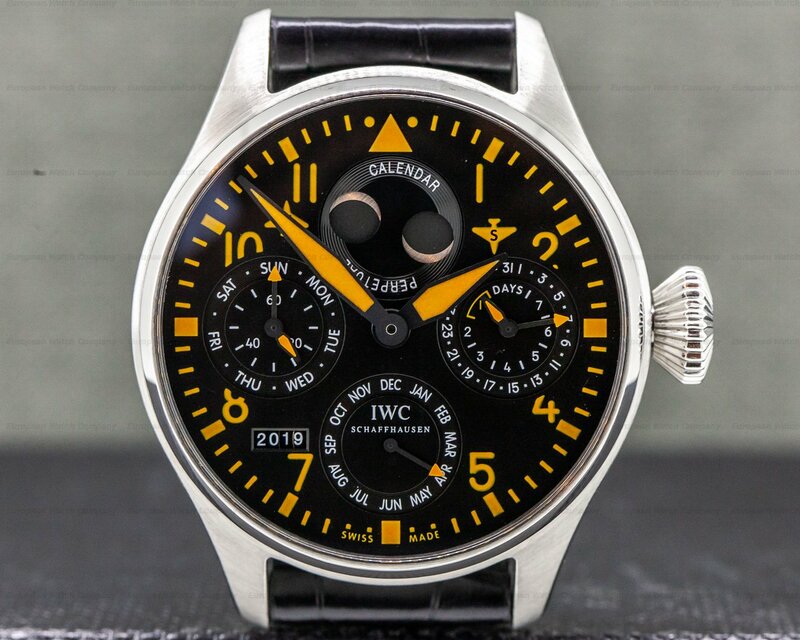 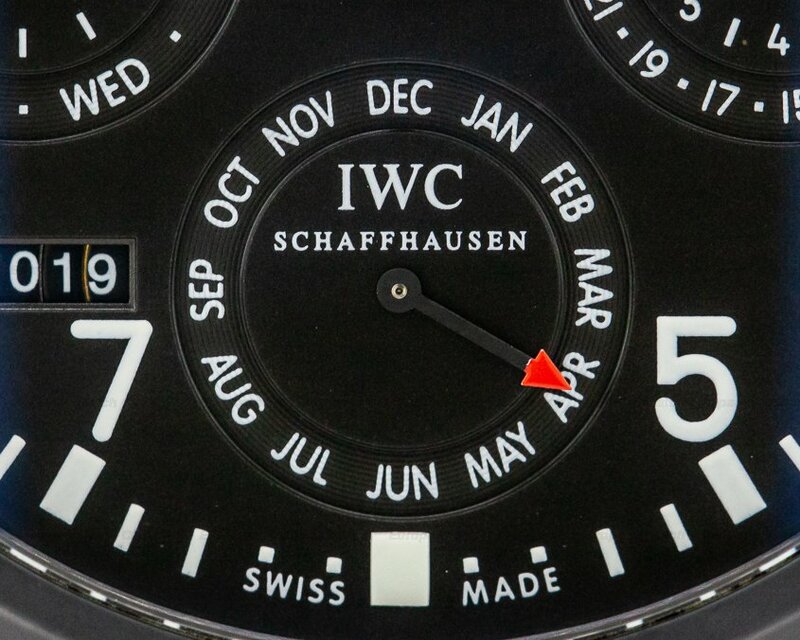 The dial is black with white luminous Arabic numeral hour markers and luminous square indices around a perimeter luminous white minute scale, with an aviator triangle at the 12 o'clock position, and black steel-rimmed white luminous "Spitfire" hands. 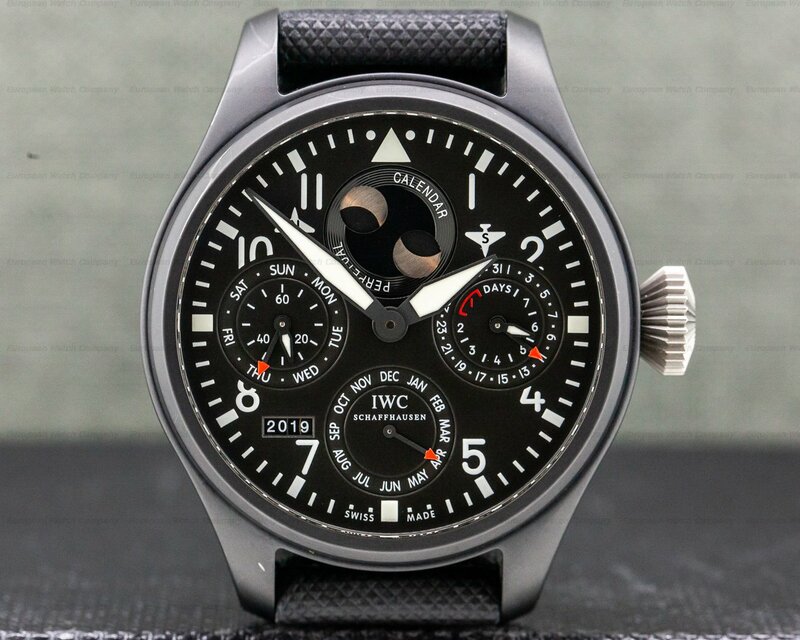 It has four recessed black subsidiary dials with luminous white markers, Arabic numerals, and red arrow and propeller-style indicator hands, including a combination day/running small seconds indicator at 9 o'clock, a radial month dial at 6 o'clock, a four-digit date aperture year window, and there is a dual date and 7-day power reserve at three o'clock. 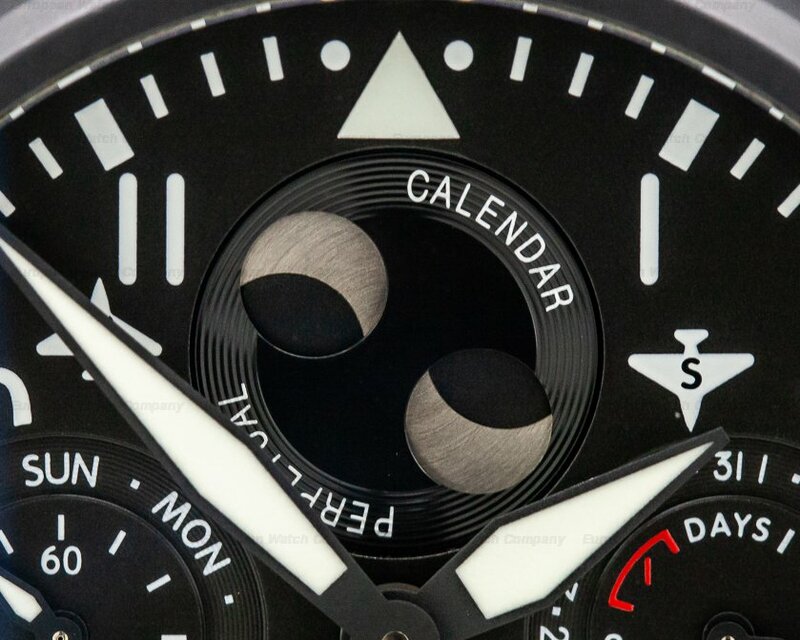 The moon phase display at 12 o'clock shows the northern/southern hemispheres, with small white airplanes delineating each. 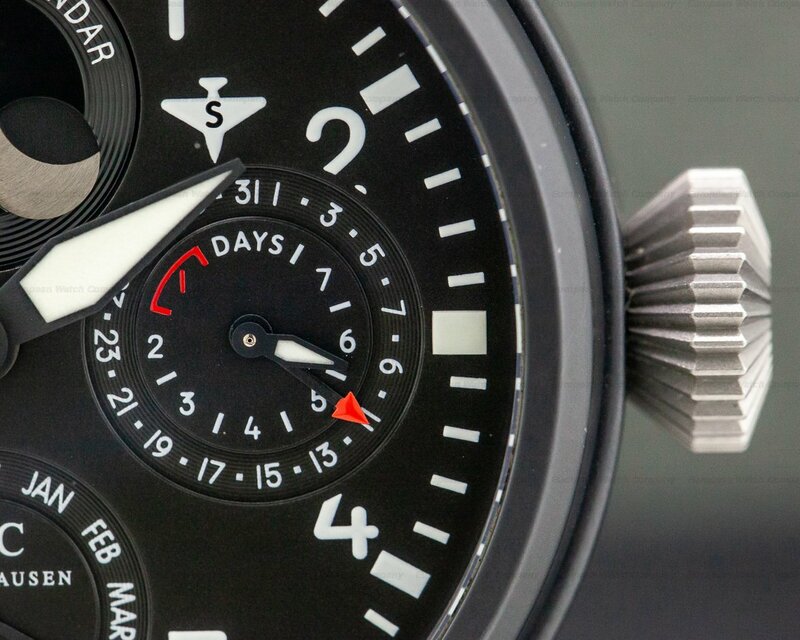 It's water resistant to 60 meters/200 feet, and the 16mm thick case, dial, and movement are all signed. 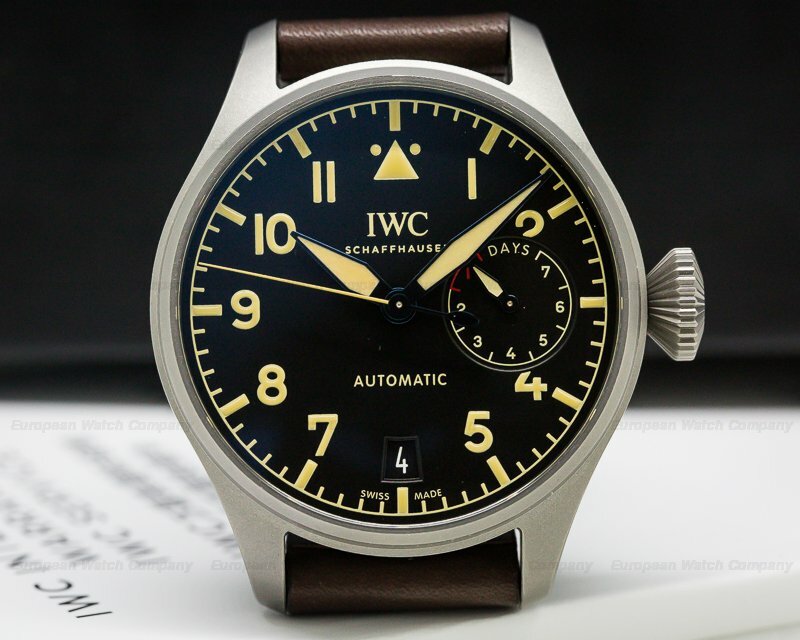 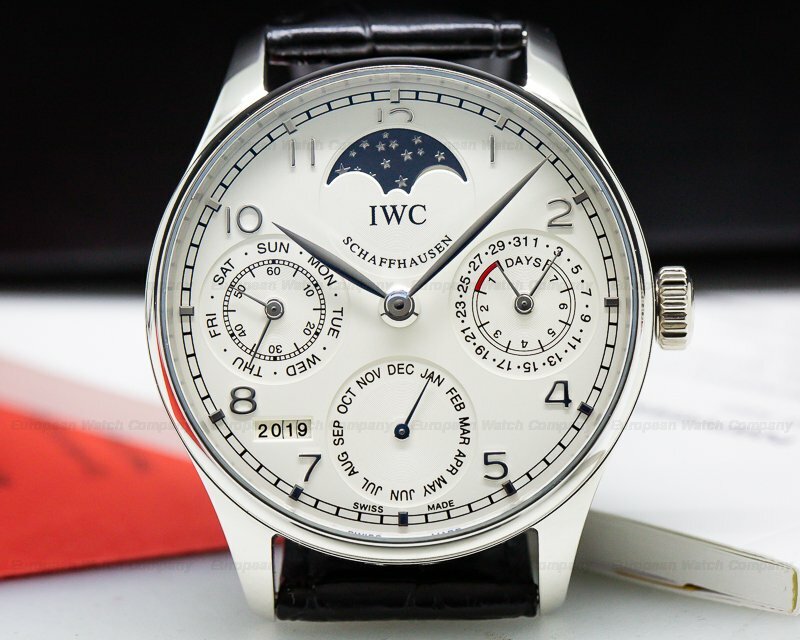 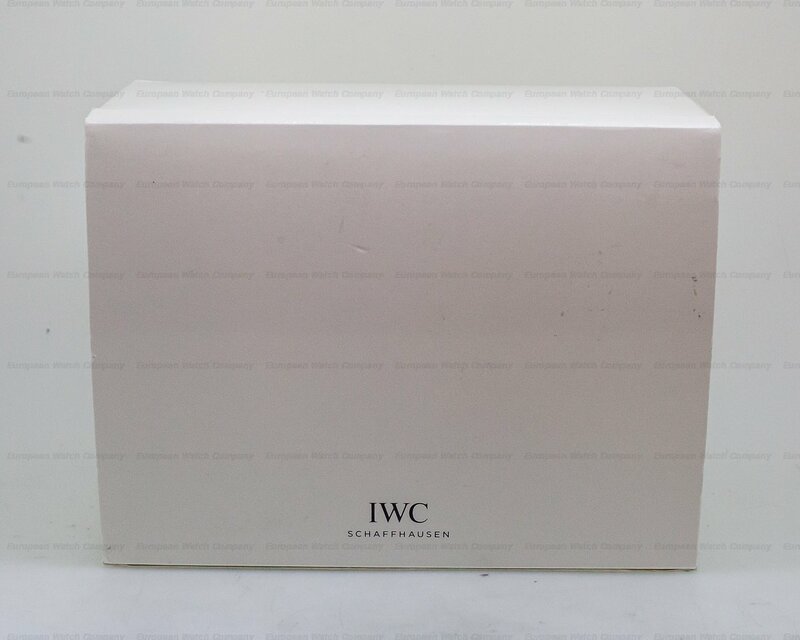 This IWC Top Gun Perpetual Calendar IW502902 has a mechanical automatic self-winding IWC caliber 51614 movement. 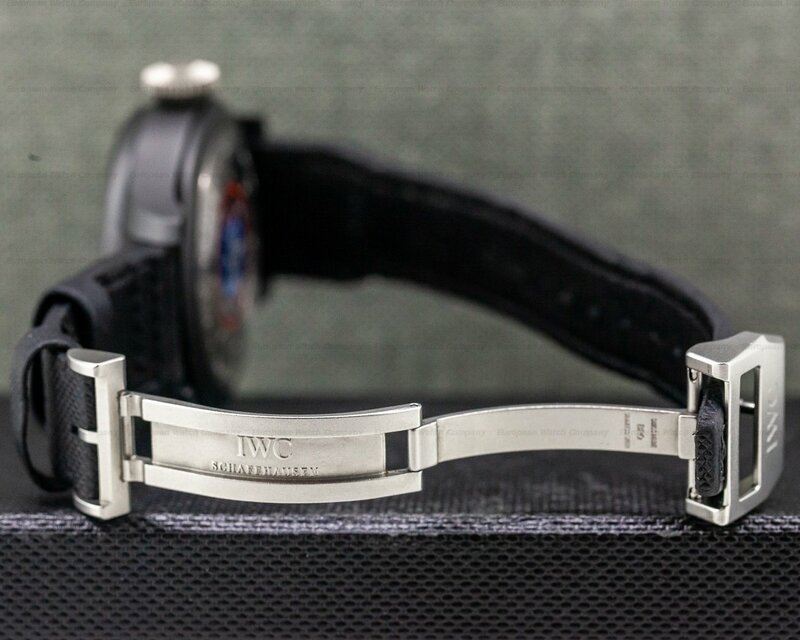 It's rhodium plated with fausses cotes embellishment, and it's constructed with 62 jewels, a high-performance Pellaton winding system, and a shock absorber mechanism. 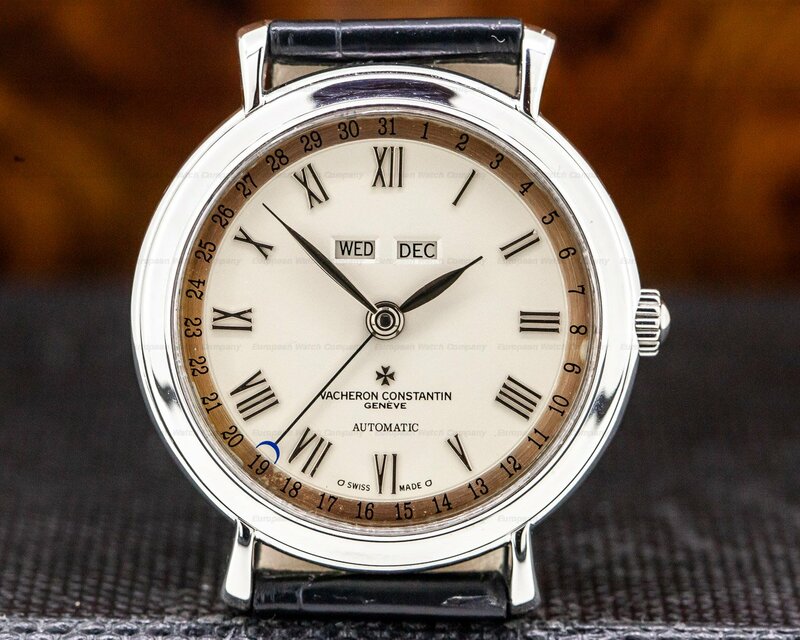 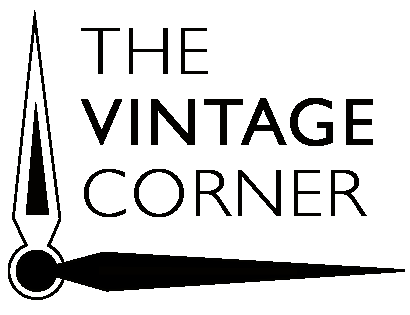 It includes a straight-line lever escapement, a monometallic balance that's adjusted to 5 positions, a self-compensating Breguet balance spring, and a micrometer regulator. 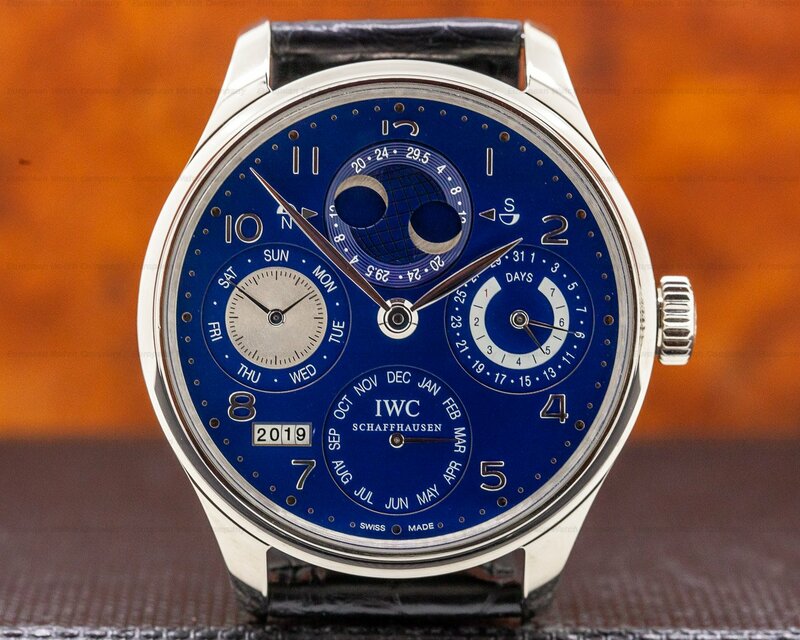 The mechanism oscillates at a frequency of 21,600 vph (3 Hz). 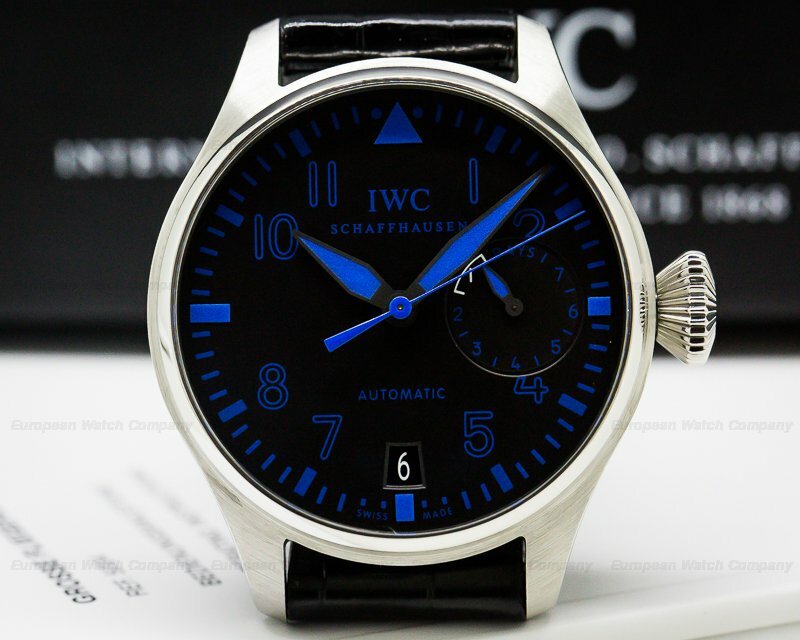 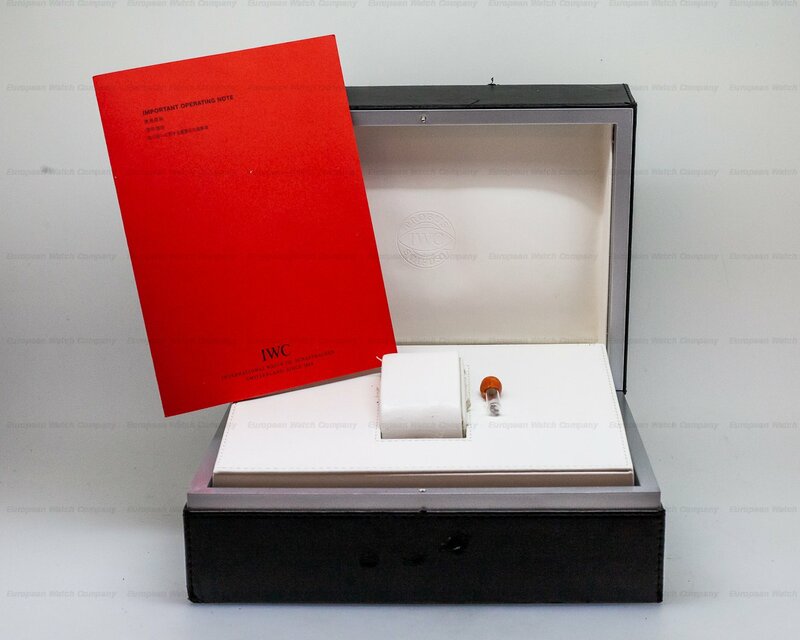 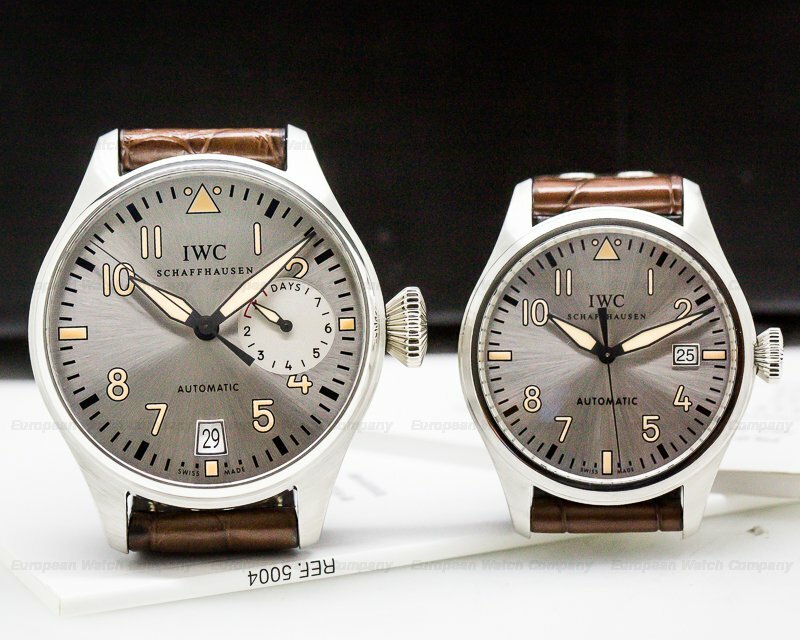 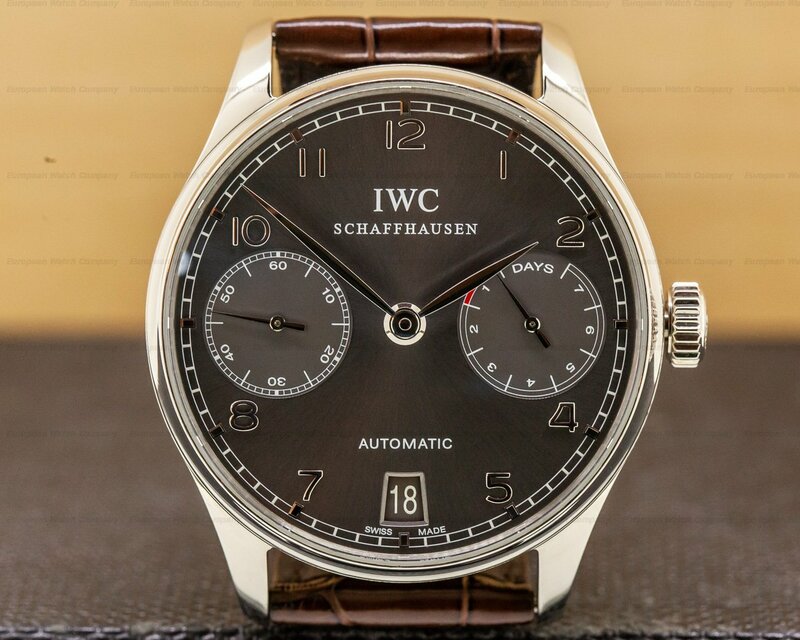 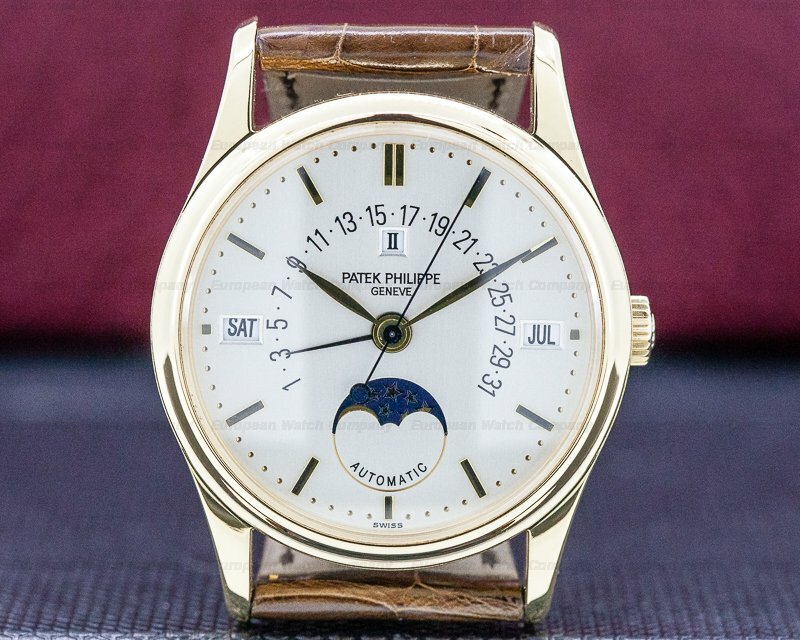 The rotor contains the gold medallion inlay engraved "IWC - Probus Scafusia." 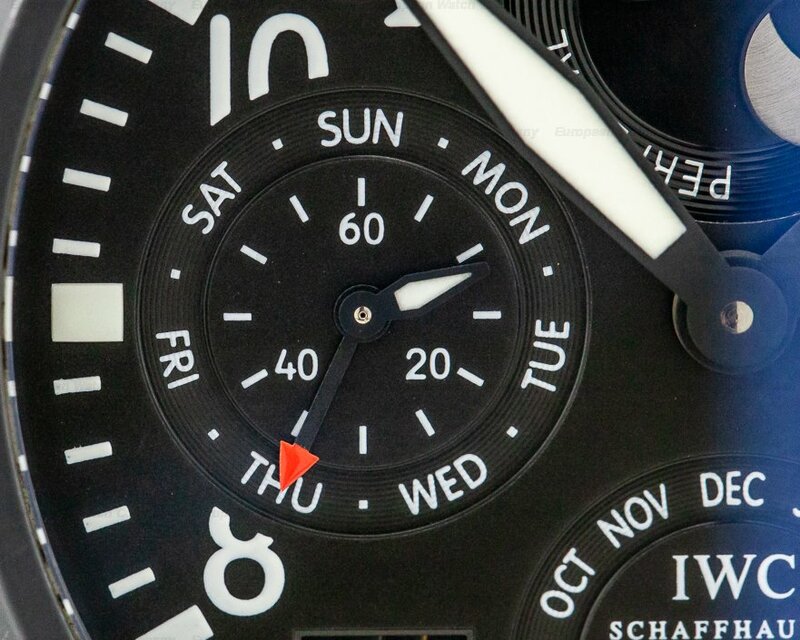 The IWC Top Gun Perpetual Calendar IW502902 was introduced in 2012.